I am recovering from an evil virus called Epstein Barr, aka Mono. It’s taking a lot longer than I expected. For weeks, thought I had the flu, with lingering aftereffects. I kept dragging myself to work and back, without energy to do anything else. Running was not an option. By the time I finally went to see a doctor who told me I had mono, two months had passed. On the plus side, I was starting to feel better by then. My doctor had warned me to take time off running, because I might drop dead if I didn’t. I figured that, if I was going to drop dead, it would have happened during one of the painfully slow shuffles I managed while I thought I was dealing with nothing worse than a really bad cold. By my calculations, I was eight weeks post-mono, well on the way to recovery, which meant it was time to start running again. The problem was that I have never before taken this much time off running and had therefore no idea how to approach my return to training. I should probably admit that I’m a skeptic by nature. I question authority, then do the opposite of what I’m told. I have accepted that this trait makes me uncoachable, but now it meant I had no one I could ask for advice on how to get back into shape. No one, except the assortment of oinionated gremlins who take turns sitting on my shoulders. From there, they whisper or shout words of advice into my ears. 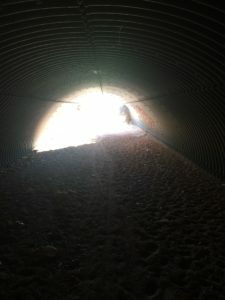 The value of their guidance tends to be questionable, yet – without knowing precisely why – I listen to my imaginary friends with their dubious intentions much more than to my well-meaning actual ones. The first one to appear this time was the Brutus, the Boot Camp Coach. He’s a mustached presence with a macho streak and a booming voice, dressed in a dark-blue track suit. Sometimes, during my rare and short-lived attempts at speed work, I invite him to help me out, but other times, he takes up his position on my shoulder uninvited and without warning, just because he thinks I need motivation. He yells. He uses colorful language. He knows how to push my buttons. He knows which insults roll right off me, and which ones stick. He also knows when to shut up. True to form, Brutus woke me up the morning after I had decided it was time to run again, just as a wave of lingering fatigue and second thoughts made me want to push that date further into the future. “This is ridiculous!” he roared, as I crawled out of bed and stood in front of my closet. “Put on your running clothes, not your yoga pants. Ok, now the shoes. Hurry up! Get your lazy bones out the door. Move! You’ll turn into a pile of cellulite if you don’t run ten miles today. No one runs in the single digits!” My ears hurt. 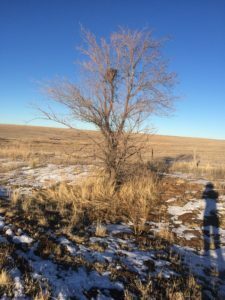 Propelled by his booming voice, I stumbled down my usual route. After a couple of miles, my head was pounding. I made it to mile seven, when Brutus, who generally means well, realized his efforts were pointless. He finally shut up. I slowed down to a walk. By the time I finished, my pace resembled that of an decrepit slug, creeping toward my front door where I collapsed in a heap. 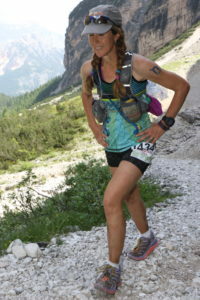 The next day, a Sunday, my mono symptoms were back, complete with sore throat, swollen lymph nodes, and the type of exhaustion I usually experience after a 50-plus mile ultra. I dragged myself to work and back on Monday and Tuesday, resuming a by now familiar pattern. By Wednesday, I felt ready to try again. I obeyed, mostly because I still felt pretty feeble. After a mere three miles of shuffling and taking walk breaks, Fiona steered me into my local health-food store. Coaxed by the treacly, seductive voice from my shoulder and my friend Jane who owns the place, I spent the contents of my checking account on herbal tinctures, olive leaf extract, Echinacea, probiotics, Lysine, assorted vitamins, and a $40 can of green powder that calls itself a raw superfood. Fiona stayed with me for a few more suffocationg days of shuffling, walking, and swallowing supplements, but before she could persuade me to trade in my Hokas for a pair of fuzzy slippers and a set of knitting needles, I stepped on my scale, which showed I had gained three pounds. 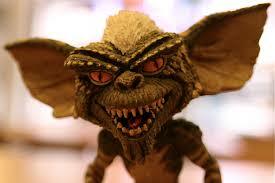 At that traumatic moment, another familiar and extremely unattractive gremlin knocked Fiona off my back. I call him the Damien the Destroyer, because he annihilates my confidence. He’s my harshest critic. 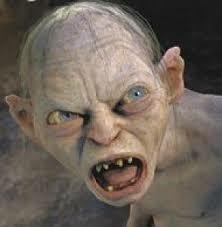 He looks a little like Gollum from the Lord of the Rings, and he talks with a similar hiss in his voice. Thankfully, Damien does not come visit as often as he used to when I was in my insecure twenties, but I can’t get rid of him completely. This time, he bared his pointy teeth, launching into his usual tirade: “You’re pathththtetic. You’re nothththing. You’re not an aththththlete. You’re an impossssstor, a fffffake. You’re no good at anyththththing . . . “ and so on. 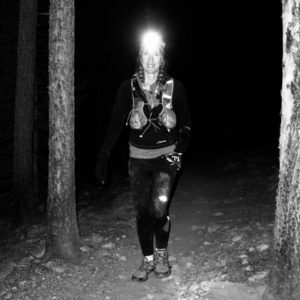 I hung my head, feeling like a worthless excuse for an ultra runner. Like an ex-ultra runner. But at least Fiona was gone. Over the years, I have found ways to silence the Damien. I talk back now. I question him. “Oh really?” I taunted him. 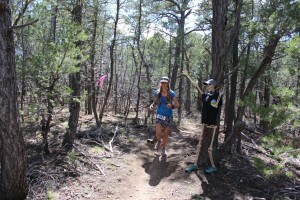 “I won my age group in Leadville just a few months ago! And placed second at Canyon de Chelly in October. How about that?” He can’t handle that sort of resistance. It makes him shrink and shrivel to a pocket size that can’t intimidate a grown woman. When Damien realized he had lost his power over me, he slunk away, looking small and dejected. 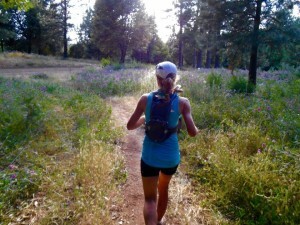 I breathed a sigh of relief, hoping that I could finally go back to running alone. Instead, Gwen the Geek joined me. She’s much more benevolent than either Damien or Fiona, though she can be overbearing. I imagine her bespectacled, in her late twenties, slightly bucktoothed, with a no-nonsense haircut and the opinion that one can never have enough information. “What’s with this haphazard approach?” She demanded in her clipped, slightly nasal tone. “Where’s your heart rate monitor? Where’s your training plan? Get online. Do some research, for crying out loud. This isn’t the eighties . . . oh wait, you were around in the eighties. Never mind.” She had enough tact to blush a little. Gwen tends to make me overanalyze everything, which distracts from actual training, but this time she did have a point. I remembered that my Garmin has a heart rate monitor. I dug out the chest strap, which I had not used in years, and started monitoring. A mile into my run, it showed I was dead. Before panic could set in, Gwen, rational as ever, reminded me that dead people don’t keep running after their hearts have stopped beating, unless they’re zombies. Good point! 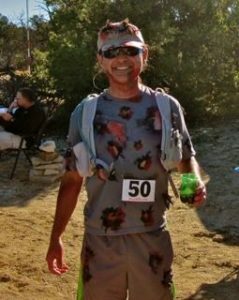 My husband David, winning the Best Male Zombie award at the Deadman Peaks ultra. I breathed a sigh of relief, felt my pulse to make sure my doctor’s dire prediction had not come true, and ran home, where I dug around the internet for all sorts of useful information. I found out that you’re supposed to wash or replace the heart rate monitor strap every once in a while because of all the sweat and grime that builds up on it. After this aha moment, I read about how to rebuild endurance gradually and slowly. I discovered heart rate zones, Karvonen zones, heart rate reserves, the Maffetone method, and heart rate variability (there’s an app for that!). Armed with enough knowledge to make my head explode, I went for my zone-two run the next day, having to walk the uphills. On the other hand, I felt human when I finished, and could run again the next day. Another six weeks have passed. My mileage is back in the seventies, though my pace is still slow. It’s been a long, gradual process, but I’m feeling fit enough to think about racing again sometime soon. I also feel a lot smarter. So thank you, all my shoulder gremlins, for your advice. I’m happy you’ve left for now, but without you, I’d be a lonely and ignorant runner. Spring is in the air, and a little spring is back in my step. It is a good time to be alive and running, even while battling an evil virus. This entry was posted in Uncategorized on March 5, 2017 by silvakat. 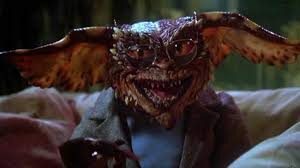 Thank you for reading, and for finding my pesky gremlins funny, Lauren. 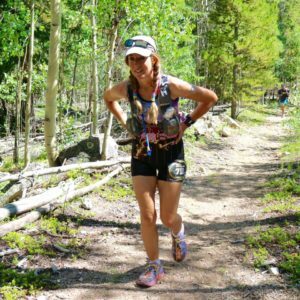 It sounds like you are on your way back from stress fracture hell. I realized during this slow and painful process that running is a gift, even slow running. And when you can’t run, a brisk walk feels so much better than moping at home (speaking from experience here . . . ). Good luck with your recovery!